Average spot power price at Indian Energy Exchange (IEX) rose 45.5 per cent in October at Rs 5.94 per unit over Rs 4.08 per unit in the year-ago month. IEX witnessed highest ever sales volume of 7,125 million units (MU) during the month due to higher demand, coal shortage, lower wind and hydro power generation. The average Market Clearing Price (MCP) at Rs 5.94 per unit last month registered 26 per cent rise over Rs 4.69 per unit price in September 2018 and 45.5 per cent increase over October 2017, an IEX statement said. 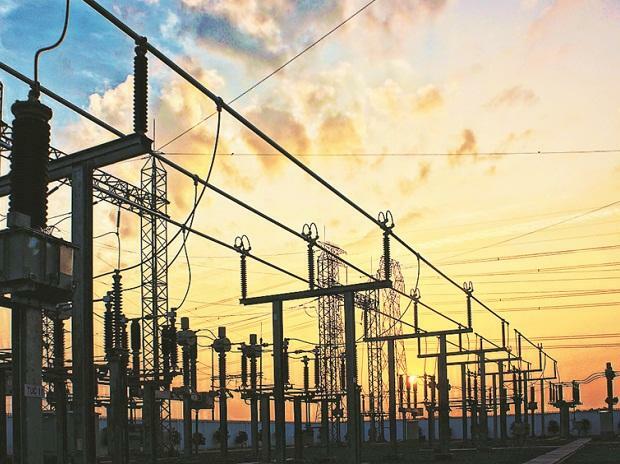 According to the statement, power prices and volume remained on the higher side throughout the month due to high demand of power from western, eastern and southern states as well as supply side constraints such as coal shortages, reduced hydro and wind generation affecting the market. The electricity market at IEX, both Day Ahead Market (DAM) and Term Ahead Market (TAM), traded the highest ever monthly volume of 7,125 MU last month, up 22 per cent over 5,829 MU traded in September and higher 63 per cent year-on-year. The average spot power price was highest at Rs 7.30 per unit during evening peak hours from 0600 PM to 1100 PM. The DAM traded 6,505 MU last month the highest ever achieved so far in any month, registering an increase of 14 per cent month-on-month and 59 per cent year-on-year. On daily average basis about 210 MU were traded, the highest during any month. One Nation, One Price was realised for 17 days at IEX. The DAM experienced transmission congestion of 1 per cent mainly in the import towards southern region. On daily average basis, 605 participants traded in the market during the month. The TAM traded 620 MU in October 2018, registering 5 times increase in volume over previous month and 1.2 times increase over October 2017. A total of 4,25,289 RECs (Renewable Energy Certificates) were sold in the REC trading session held on October 31 featuring trade of 2,95,010 Non-Solar RECs and 1,30,279 Solar RECs. The trading session saw increase of 24 per cent year-on-year and decline of 73 per cent month-on-month. Both Solar and Non-Solar RECs saw reversal in REC demand-supply situation with buy bids exceeding the sell bids. Distribution companies were the major buyers in the session followed by captive and open access consumers. On October 31, IEX also successfully launched its GST portal for smooth handling of GST collection, invoicing and associated obligations of TCS and TDS related to trade in the REC market, it added.